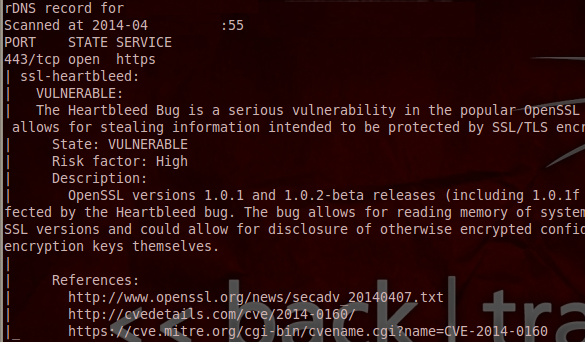 We have received reports by many readers about buggy tools to test for the heartbleed vulnerability. Today I want to show you how easy it is to check for this vulnerability using a reliable tool as nmap. For vulnerability testing, always use reliable tools which won't contain malicious code infecting your computer and won't give you false positive messages.